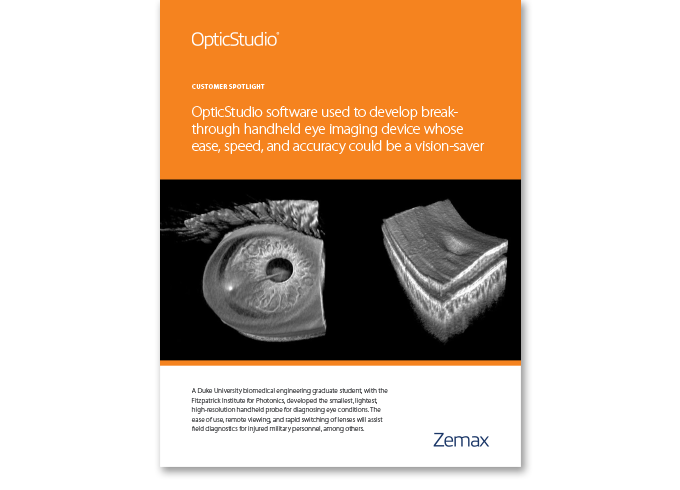 A Duke University biomedical engineering graduate student, with the Fitzpatrick Institute for Photonics, used OpticStudio® to develop the smallest, lightest, high-resolution handheld probe for diagnosing eye conditions. The engineering team created a lighter and higher-speed optical coherence tomography system that could image both the front and back of the eye. 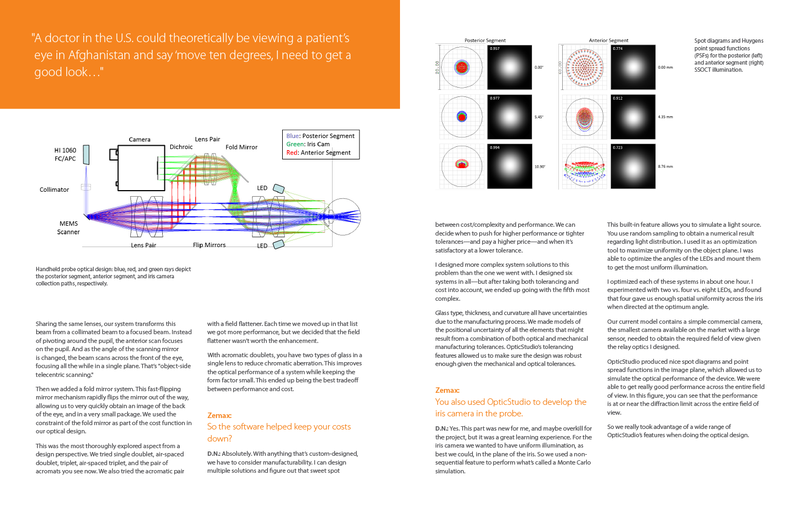 OpticStudio was used to design the lens and to keep it small, while also constraining the cost. Built-in features that simulate a light source were used to develop and optimize the iris camera in the probe. Get your free case study now.